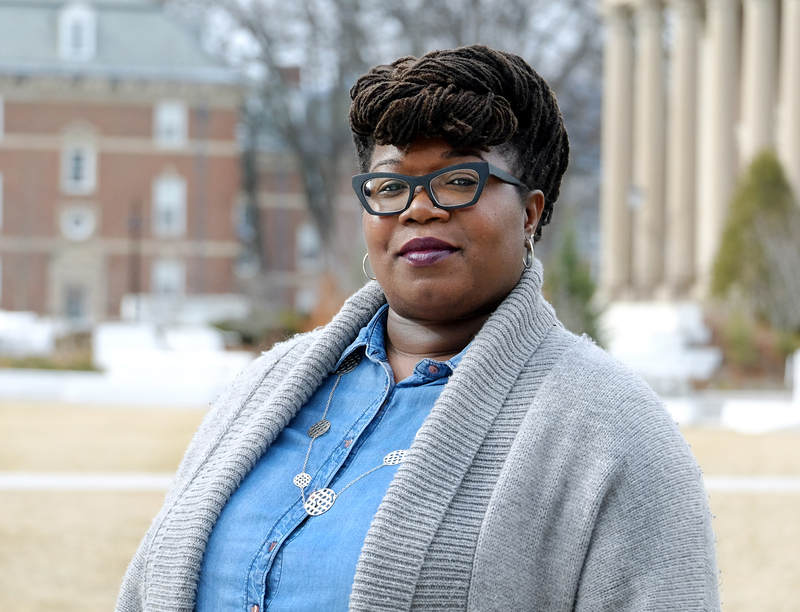 WILLIAMSTOWN, Mass., April 18, 2018—The Andrew W. Mellon Foundation has awarded Williams College Africana studies professor LeRhonda (Rhon) Manigault-Bryant a three-year, $300,000 New Directions Fellowship to pursue substantive and methodological training in film studies and documentary filmmaking. Mellon New Directions Fellowships assist faculty members in the humanities who seek supplemental education outside their formal areas of study. The program enables selected scholars to work on interdisciplinary projects or on problems beyond their expertise at a level of sophistication that matches their advanced training. New Directions Fellows receive the equivalent of one academic year’s salary, two summers of additional support, and tuition and course fees for their programs of study. Manigault-Bryant will attend New York University’s Tisch School of the Arts, where she will pursue full-time training in film production during the academic year and complete an internship and further coursework during the summers. She has identified four goals for the fellowship period: To complete a multi-disciplinary monograph that will examine how film influences popular representations of the black female religious body; to expand the interdisciplinary fields of religious studies and film studies; to make film a counter-narrative to black men’s popular, negative representations about black women’s religious bodies; and to equip her students with the knowledge necessary to become critical spectators of popular visual media. Manigault-Bryant earned a Ph.D. in religion at Emory’s Graduate School of Arts and Sciences. She first came to Williams as a Gaius Charles Bolin Fellow in 2006 and has taught at the college since 2011. Her books include Talking to the Dead: Religion, Music, and Lived Memory among Gullah/Geechee Women (Duke University Press, 2014) and Womanist and Black Feminist Responses to Tyler Perry’s Productions (Palgrave Macmillan, 2014). Manigault-Bryant is the fourth Williams faculty member to receive a New Directions Fellowship since its inception in 2002. Anthropology professor Antonia Foias received one in 2010 for her archeological research in Guatemala; history professor Sara Dubow received one in 2013 for her study on the impact of law, social movements, and politics on the conflict between constitutional protections for religious freedom and equality; and history professor Jessica Chapman received one in 2016 for her anthropological research into to the economic and cultural significance of Kenya’s running industry.